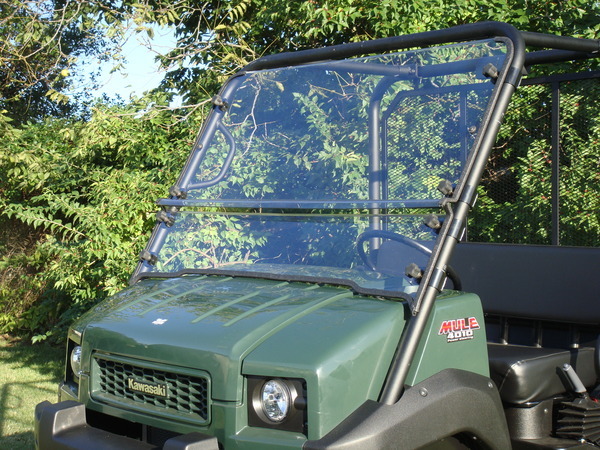 Kawasaki Mule 4010 After Market Lexan Windshield-Retail Value-$499.99-ON SALE NOW for $399.99! 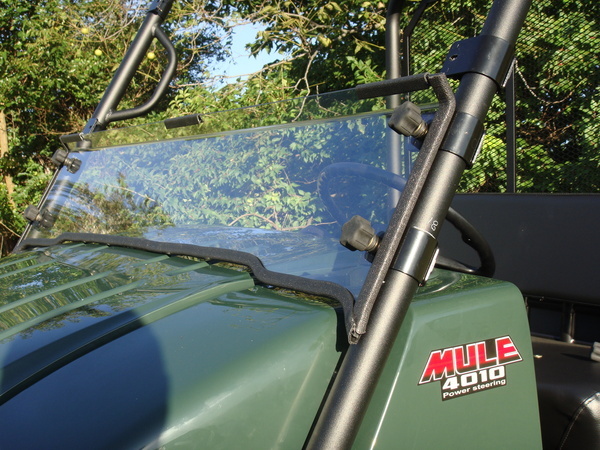 Our After Market Lexan windshield for the Mule 4010 is truly top of the line. Our windshields are hand crafted for a precision fit. 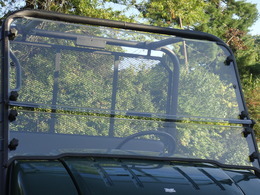 The Lexan windshield for the 3010 is a split windshield to allow easy access to the front storage area. 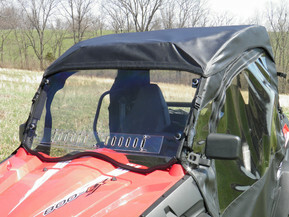 Three way design allows rider to enjoy a full windshield, top only, or bottom only. 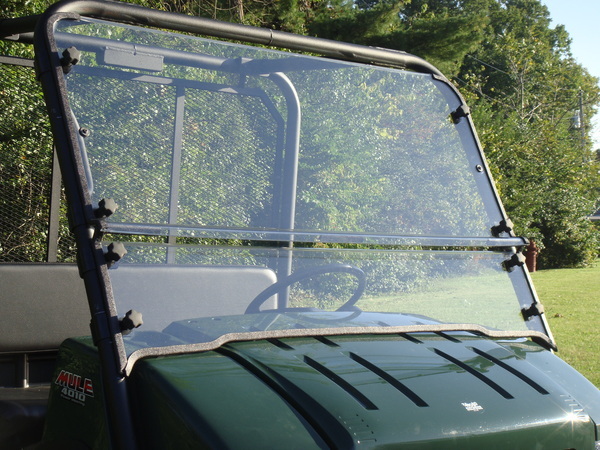 All GCL UTV windshields are made of 1/4" Lexan. The 1/4" will NOT bow at high speeds. We line the bottom and side of our windshields with a heavy duty rubber molding. This prevents any rattle during your ride. The windshield comes with detailed instructions to make the install easy.